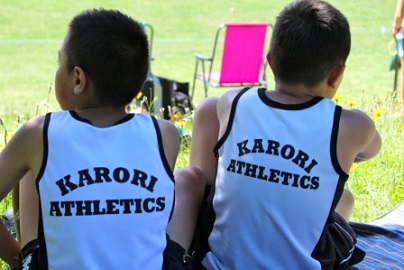 Karori Athletics run a summer athletics programme on Wednesday nights (6.00pm-7.30pm) at Ben Burn Park. The summer 18/19 season starts on 24 October 2018 and runs through to late March 2019. Membership is open to children from ages 4 -15. Get Set Go for 5 and 6 year olds: An introductory fun athletics programme (Wed 6 - 7pm). 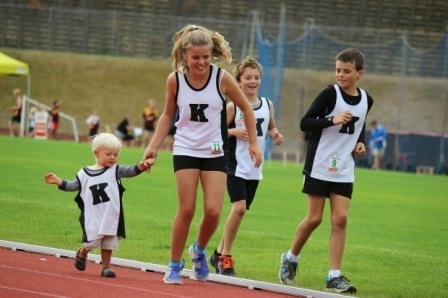 Club Night Programme for 7-15 year olds: Based on the Athletics NZ Run Jump Throw programme & Athletics NZ 5-Star Award Scheme to develop all round athletics skills (Wed 6 - 7:30pm). Results are recorded for long jump, high jump, discus, shotput, sprints and middle distance. Competitions: There are six Inter-Club meets, the Colgate Games, Lower Hutt Medal Day, Paraparaumu Ribbon Day and the AWJC Wellington Junior Championships held during the athletics season which all registered athletes can compete in. Coaching courses: For parents and teenagers who are interested in getting involved. The grade an athlete will compete in for the season is based on the age of the athlete as at 31 December of the respective season. For example for the 2018/19 season, athletes who turn 7 during the year up to and including 31 Dec 2018 will compete in Grade 7 for the duration of the season. Please see Subscription & Registrations page for fees, payment details and for more information about the registering.